Immediately upon his election as Secretary General, the rumors of his homosexuality began to circulate. Throughout his life, Hammarskjöld remained without female attachments. He dismissed his lack of family life by explaining that his mother had suffered terrible loneliness as a result of his father's devotion to government service and he did not wish to inflict such a life on anyone else. Considering how rare a high-ranking single man was in any government at the time, such excuses seem rather flimsy. Hammarskjöld held deep religious beliefs and held himself, and others, to impossibly high standards. His introspective book of personal reflections, Markings, reveals a man who frequently regarded himself and others with loathing and contempt. He never spared himself from the same exacting requirements of perfection that he sought in others. Speculation that he could see his sexuality only as a personal weakness, and therefore something to be sublimated and overcome, continues to be the primary interpretation of his apparently asexual existence. In Markings, he leaves only vague hints that may be keys to his sexual feelings. He implies that he feels ostracized for being different, perhaps superior. In another passage, he describes someone who is more true to himself; Hammarskjöld simultaneously admires and abhors the person. While such thoughts may point to Hammarskjöld's tormented sexual conflicts, they could equally well refer to something else entirely. Unless some hidden manuscript surfaces or an aging lover suddenly feels moved to revelation, it seems unlikely the world will ever know for sure the details of Hammarskjöld's sexual experience. W. H. Auden, who translated Markings, was convinced of his homosexuality; it is thought that saying so publicly during a lecture tour of Scandinavia may have cost Auden the Nobel Prize for Literature that he was widely expected to receive in the 1960s. Mark Bingham was a shining light on one of the darkest days in American history. On September 11, 2001, passengers aboard United Flight 93 stormed the terrorists who had hijacked their plane. The 9/11 Commission concluded this heroism diverted the plane from its intended target, which was either the White House or the Capitol in Washington, and caused it to crash in an empty field near Shanksville, Pennsylvania. Bingham led the counterattack. He prevented the destruction of a national monument and saved lives. Standing 6-foot-4 and weighing 220 pounds, Bingham was a star athlete, a savvy entrepreneur, a fearless competitor and a man devoted to his family and friends. Bingham was the CEO of The Bingham Group, a successful public relations firm with offices in San Francisco and New York. Bingham grew up in California, the son of Alice Hoglan, a single mom who struggled to make ends meet. He graduated from the University of California, Berkeley, where he helped the rugby team earn national championships in 1991 and 1993. He played on the San Francisco Fog, the city’s first gay rugby team. Bingham hated losing and never backed down. He once protected his boyfriend from an attack by wrestling a gun from the mugger’s hand. After being gored at the running of the bulls in Pamplona, Spain, Bingham showed off the scar as a badge of honor. About 20 minutes before Flight 93 went down, Bingham called his mother. “This is Mark Bingham,” were his first words. She immediately sensed something was wrong. “I love you” were the last words she heard from her son. Alice knew if there was any way to turn tragedy into triumph, Mark would lead the charge. The Advocate named Bingham its 2001 Person of the Year. He was posthumously awarded the Arthur Ashe Courage Award in 2002. The Mark Kendall Bingham Memorial Tournament, an international rugby competition predominantly for gay and bisexual men, was established in his memory. Father Mychal Judge was a Franciscan priest and Fire Department of New York chaplain who died heroically on September 11, 2001. He has been called a "Saint of 9/11." "The first thing I do each day is get down on my knees and pray, 'Lord, take me where you want me to go, let me meet who you want me to meet, tell me what to say, and keep me out of your way.' "
Shortly before entering the World Trade Center on 9/11, Father Judge rejected an offer to join Mayor Giuliani, choosing instead to step into harm's way to be with the FDNY and victims of the terrorist attack. A Reuters photograph of Father Judge's body being carried from Ground Zero by rescue workers made him an international icon of heroism. Father Judge was a hero to many long before his death. He was beloved by Fire Department of New York personnel and their families and a champion of New York's homeless, AIDS patients, gay and lesbian Catholics, alcoholics, immigrants, and disaster victims. In the early years of his ministry, Father Judge served two parishes in New Jersey, where he gained a reputation as "the listening priest." During his service as Assistant to the President of Siena College, Father Judge confronted his alcoholism and achieved sobriety through Alcoholics Anonymous. In the 1980's, Father Judge was among the first clergy to minister to AIDS patients, who at that time were considered untouchable. Through the organization Dignity, he ministered to gay and lesbian Catholics even after the Church excluded the organization from holding masses in New York churches. In 1996 Father Judge led a memorial service on the beach at Smith Point, Long Island for the families of the victims who lost their lives in the nation's second worst air disaster, the explosion of TWA Flight 800. More than 2,000 people attended. Father Judge received numerous posthumous honors, including France's highest recognition, the Legion of Honor. His FDNY fire helmet was blessed by Pope John Paul II at the Vatican. Feister, John Bookser and John Zawadzinski, "No Greater Love: Chaplain Mychal Judge, O.F.M.," St. Anthony Messenger, Dec. 2001. Pope Julius III (born Giovanni Maria Ciocchi del Monte), boy-loving pope. At the start of his reign Julius had desired seriously to bring about a reform of the Catholic Church and to reconvene the Council of Trent, but very little was actually achieved during his five years in office; apologists ascribe the inactivity of his last three years to severe gout. In 1551, at the request of the Emperor Charles V, he consented to the reopening of the council of Trent and entered into a league against the duke of Parma and Henry II of France (1547–59), but soon afterwards made terms with his enemies and suspended the meetings of the council (1553). (For the history of papal conflicts with councils, see conciliar movement). Julius spent the bulk of his time, and a great deal of Papal money, on entertainments at the Villa Giulia, created for him by Vignola. Julius extended his patronage to the great Renaissance composer Giovanni Pierluigi da Palestrina, whom he brought to Rome as his maestro di cappella, Giorgio Vasari, who supervised the design of the Villa Giulia, and to Michelangelo, who worked there. Called "The Great Condé", Louis de Condé was a prince of royal blood, the son of Henri de Bourbon, Prince de Condé and Charlotte Marguerite de Montmorency, and cousin to the king. At the age of twenty-two Condé was victorious during the Thirty Years' War at the Battle of Rocroi (Ardennes, 1643), and later at Lens (1648), which prevented France from being invaded by the Spanish armies in the north. He rebelled in 1651 taking the side of the Fronde, which on occasions served the enemy, and entered the Spanish service. Pardoned in 1660, he commanded Louis XIV's armies against the Spaniards and the Dutch. It is on his military character that the Grand Condé’s fame rests. Unlike his great rival, Turenne, Condé was equally brilliant in his first battle and in his last. The one failure of his generalship was in the Spanish Fronde, and, in this, everything united to thwart his genius; only on the battlefield itself was his personal leadership as conspicuous as ever. That he was capable of waging a methodical war of positions may be assumed from his campaigns against Turenne and Montecucculi, the greatest generals opposing him. But it was in his eagerness for battle, his quick decision in action, and the stern will which sent his regiments to face the heaviest losses, that Condé is exalted above all the generals of his time. Upon the Grand Condé’s death, Louis XIV pronounced that he had lost "the greatest man in my kingdom." In 1643 his success at the Battle of Rocroi, in which he led the French army to an unexpected and decisive victory over the Spanish, established him as a great general and popular hero in France. Together with the Marshal de Turenne he led the French to victory in the Thirty Years' War. During the Fronde, he was courted by both sides, initially supporting Mazarin; he later became a leader of the princely opposition. After the defeat of the Fronde he entered Spanish service and led their armies against France. He returned to France only after the Treaty of the Pyrenees in 1659, but soon received military commands again. Condé conquered the Franche-Comté during the War of Devolution and led the French armies in the Franco-Dutch War together with Turenne. His last campaign was in 1675, taking command after Turenne had been killed, repelling an invasion of an imperial army. He is regarded as one of the premier generals in world history, whose masterpiece, the Battle of Rocro is still studied by students of military history. Condé was a proud, imperious man whose personal gain came before the general interest. Despite being of a violent disposition and a bisexual libertine (he was married and had several affairs with his soldiers), he was also a cultured man, including in his circle many men of genius such as Molière, Racine, Boileau, La Fontaine, Nicole, Bourdaloue and Bossuet. 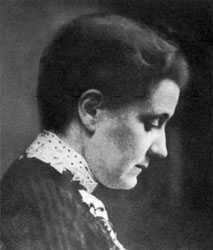 Born in Cedarville, Illinois, Jane Addams graduated from Rockford (Ill.) Female Seminary in 1881 and was granted a degree the following year when the institution became Rockford College. The death of her father in 1881, her own health problems, and an unhappy year at the Woman's Medical College of Pennsylvania left her depressed and aimless for some years. She traveled in Europe in 1883-85, but neither there nor during her stay in Baltimore (1885-87) did she find a vocation. In 1887-88 Addams returned to Europe with a Rockford classmate and close friend, Ellen Gates Starr. On a visit to the Toynbee Hall settlement house (founded 1884) in London's East End, Addams' vague leanings toward reform work crystallized. The two women returned to the United States and settled in Chicago. By September 1889 they had moved into the decrepit residence, built by Charles Hull in 1856, that came to be known as Hull House. The building was located in the midst of a teeming immigrant ward. Eventually the settlement included 13 buildings, with literary clubs, art gallery, a summer school for women, a day nursery, a gymnasium, a community kitchen, a kindergarten, public baths, a library, a chemist, an employement bureau, a cooperative apartment for young working women, and a Juvenile Protective Association working on issues of sexual morality, prostitution and drug abuse. Moreover there was a playground, as well as a summer camp near Lake Geneva, Wisconsin. Many prominent social workers and reformers such as Julia Lathrop, Florence Kelley, Grace and Edith Abbott, came to live at Hull House, as did others who continued to make their living in business or the arts while helping Addams in settlement activities. Hull House offered college-level courses in various subjects; furnished training in art, music, and crafts such as bookbinding; and sponsored one of the earliest little-theater groups, the Hull House Players. In addition to making available services and cultural opportunities for the largely immigrant population of the neighborhood, Hull House afforded and opportunity for young social workers to acquire training. Throughout her life Addams was close to many women and was very good at eliciting the involvement of women from different classes in Hull House's programmes. Her closest adult companion, friend and lover was Mary Rozet Smith (see picture at the left), who nurtured and supported Addams and her work at Hull House, and with whom she owned a summer house in Bar Harbor, Maine. Addams worked with labor as well as other reform groups toward goals including the first juvenile-court law, tenement-house regulation, an eight-hour working day for women, factory inspection, and worker's compensation. She strove in addition for justice for immigrants and blacks, advocated research aimed at determining the causes of poverty and crime, and supported woman suffrage. In 1910 she became the first woman president of the National Conference of Social Work, and in 1912 she played an active part in the Progressive Party's presidential campaign for Theodore Roosevelt. At The Hague in 1915 she served as chairman of the International Congress of Women and consequently helped establish the Women's International League for Peace and Freedom. She was also involved in the founding of the American Civil Liberties Union (1920). By 1926 she was a semi-invalid as a result of a heart-attack, but continued to receive numerous commendations for her work. In 1931 she was the co-winner of the Nobel Prize for Peace. She died of cancer in Chicago, just four yers later. The establishment of the Chicago campus of the University of Illinois in 1963 forced the Hull House Association to relocate its headquarters. The majority of its original buildings were demolished, but the Hull residence itself was preserved as a monument to Jane Addams. Twentieth century composer John Cage pushed the boundaries of traditional music, experimenting with sound, environment and audience perception. His avant-garde work influenced music, painting, dance, performance art and poetry. Cage was born in Los Angeles. He was playing piano on the radio regularly by the time he was 12. The son of an inventor, Cage developed a reputation for innovation and originality—qualities that became the hallmarks of his career. In 1930, after two years at Pomona College, Cage left for a less traditional education in Europe. Settling in Paris, he spent 18 months painting, writing poetry and composing music, before returning to California to focus on music. In 1937, Cage worked as a dance accompanist in Seattle, where he met dancer and choreographer Merce Cunningham. The two became professional and life partners for the next 50 years. In 1938, Cage began to experiment. He composed pieces for the prepared piano—a piano he created with objects placed on and between the strings to alter sound. He also used record players and phonographs as instruments. In the 1940’s, Cage continued to pursue unorthodox techniques. His fascination with Taoism and Zen Buddhism led him to chance music. Based on the “I Ching”—the Zen book of changes—and the flip of a coin, Cage created compositions solely by chance. In 1948, Cage joined the Black Mountain College faculty and began collaborating with David Tudor and Robert Rauschenberg, among others. He composed his most controversial piece “4’33’,” three scores of silence over 4 minutes and 33 seconds. The intended “music” of the piece is the unintentional sound created by the audience and the environment. Cage continued to compose and collaborate with other artists. In his later years, he focused on electronic music, often using radios and “Happenings,” as he called them—pieces that are mostly unwritten, except for timed intervals in which a note, a sound or silence is scheduled. 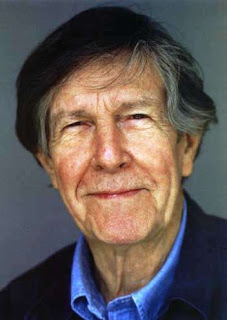 John Cage was also a writer, philosopher, visual and performance artist, and cofounder of the New York Mycological Society for the study, collection and appreciation o www.glbtHistoryMonth.com f mushrooms and fungi. Freddie Mercury (born Farrokh Bulsara ) was a British musician, singer and songwriter, best known as the lead vocalist of the rock band Queen. As a performer, he was known for his flamboyant stage persona and powerful vocals over a four-octave range.As a songwriter, Mercury composed many hits for Queen, including "Bohemian Rhapsody", "Killer Queen", "Somebody to Love", "Don't Stop Me Now", "Crazy Little Thing Called Love" and "We Are the Champions". In addition to his work with Queen, he led a solo career, penning hits such as "Barcelona", "I Was Born to Love You" and "Living on My Own". Mercury also occasionally served as a producer and guest musician (piano or vocals) for other artists. He died of bronchopneumonia brought on by AIDS on 24 November 1991, only one day after publicly acknowledging he had the disease.